Christopher Lee has had a truly remarkable career spanning several decades. He has appeared in over 300 films and is still working at the age of 92. As you can imagine its quite hard to pick out just 10 memorable performances, but these nevertheless are still my favourites and I hope you agree with at least some of my choices. I do not like this move. By and large I found it to be somewhat dull, but I would still consider this to be one of Lee’s best performances nevertheless. Lee’s character serves as the main villain of the piece and the archnemesis to the titular hero Captain Invincible. He is a gloriously OTT, camp character who is assisted by a ridiculous looking Goblin and has a very unusual habit of bursting into song, well I suppose maybe its not so unusual in a musical. By far and away the most memorable moment in the film is when Lee’s character is cornered by Invincible and with seemingly no other way of escape bursts into a song about how wonderful it is to get drunk. Invincible is a recovering alcoholic, and so booze is his Kryptonite. Mr Midnight not only sings about the wonders of getting smashed, but actually has a bar appear out of nowhere as well as several young women dancing around, all of which turns Invincible into a wreck. The song is named “Choose Your Poison” and is definitely one of Lee’s finest moments. A very overlooked performance from Lee, Franklyn Marsh is a snooty art critic who is humiliated by artist Eric Landor (played by Michael Gough) and eventually runs him down, causing Landor to lose his hand. Landor later commits suicide, but his severed hand returns and later blinds Marsh in revenge. The thing I like the most about this performance is that unlike a lot of Lee’s other villainous roles, there is nothing even remotely charismatic or likable about this character. He is just a snooty, pompous know it all who actually has no idea what he is talking about, hence why he is taken in by Landor’s prank where Landor shows him several splashes of paint on a canvas that Marsh believes is a modern art masterpiece, but which were actually made by a monkey instead. The movie goes out its way to make Marsh seem hateful, even just in little ways like when we see how he never buys a round for his friends despite being loaded. Still despite this one can not help but feel sorry for him at the end when he loses his sight. Lee’s blood curdling scream when he is told he will be blind for the rest of his life is truly chilling. This performance for me always showed how Lee was not limited even in terms of the villains he played. Nevertheless Lee makes the most of what little time he is given and is able to make Saruman a very memorable character. He has tremendous screen presence and menace particularly in the scenes where he brutally tortures Gandalf for information. Lee was very unhappy that his scene was cut from the third movie, but fortunately he is slated to appear in the upcoming “The Battle of the Five Armies” in 2014. Throughout his career up until that point, Lee had been continually rejected for being too tall. Imagine how bad Lee would have felt if having not got anywhere for years for being too tall, he lost his chance at the big time for being 1 inch too short. Fortunately as we all know Bresslaw dropped out and Lee’s career would take off after the success of “The Curse of Frankenstein.” The role of the creature in this film really wasn’t that much. Just a brainless monster as the focus was on Professor Frankenstein. However despite this I still think that Lee made the most of the role. There are just little moments in Lee’s performance where he is able to inject a real personality into the creature. Particularly when he confronts Professor Victor Frankenstein. The Creatures brain comes from a man Victor killed in cold blood and whilst its brain was damaged to the point where it has lost all memory of who it once was, when it see’s Victor, there is a real look of rage on its face that suggests it still remembers him in spite of everything else. Sadly “The Man with The Golden Gun” is not one of the most celebrated Bond movies. I myself enjoyed it, but its generally seen as a poor entry in the series when it was still trying to find its feet with new 007 Roger Moore. Fortunately Christopher Lee’s Scaramanga is generally seen as one of the better Bond villains. The antithesis to Franklyn Marsh, Scaramanga just oozes charisma and charm and is the perfect match for 007. Whilst I don’t think “The Man With The Golden Gun” is as bad as everyone makes out I do think that Lee manages to elevate it greatly and Scaramanga certainly has to go down as one of Bond’s most memorable villains. One of the few heroic roles Lee has played throughout his long career. De Richleau is very much a Van Helsing type of character, the expert on the occult with a will made of iron. De Richleau has to stand among Lee’s best performances not only because “The Devil Rides Out” is an excellent film overall, but because it is so rare to see Lee playing a completely heroic role. Even his non villainous roles still often tend to lean towards the unsympathetic, but here Lee is given a chance to play a truly virtuous character. It almost makes you feel sad when you think just how well Lee could play the hero, yet he has been given so few opportunities to do so, then again at the same time its not as though he has ever been out of work either. 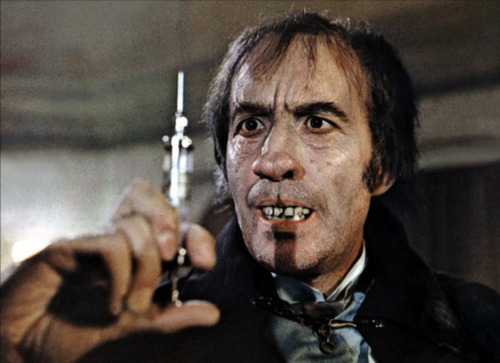 A lot of people forget Christopher Lee played Dr Jekyll and Mr Hyde, probably because his versions of the characters had completely different names. Still Lee for me gave along with Frederick March the best versions of the iconic characters outside of the novel itself. His “Jekyll” did seem like a genuinely sympathetic character whilst his “Hyde” was a genuinely terrifying monster. Most people I feel don’t know how to balance Jekyll and Hyde correctly. Often Jekyll is either too boring or too unsympathetic. Take Hammer’s two attempts at filming the novel “The Two Faces of Dr Jekyll” and “Dr Jekyll and Sister Hyde”. Paul Masse’s Jekyll is bland whilst Ralph Bates Dr Jekyll is just as bad as “Sister Hyde”. Lee however I feel managed to get the balance just right an make Hyde seem like a frightening and chilling monster whilst at the same time not making Jekyll into a bland or boring character. 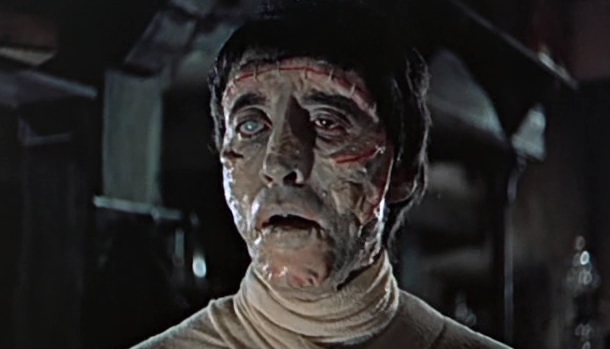 One of Lee’s most distinctive performances, much like the Creature in “The Curse of Frankenstein” the role of the Mummy in this film was not really that well developed a part. However once again Lee was able to elevate it into being something more which was even more difficult considering this time his face was completely covered by a mask. Lee was able to inject a great amount of sorrow into the Mummy’s eyes and make us feel genuine sympathy for the monster at times even more so than the hero of the film played by Peter Cushing. 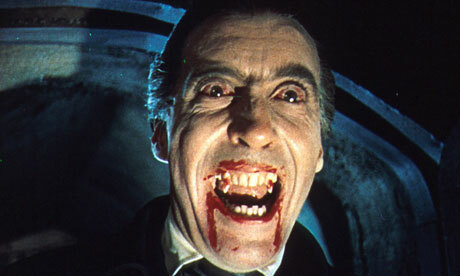 Christopher Lee’s most iconic performance was as the Transylvanian Vampire in a total of 7 films for Hammer studios (though he also went on to play the role in other films too). The image we have of Dracula in popular culture comes solely from both Lee and Bela Lugosi’s performances. The cape, penguin suit, widows peak and accent as well as Dracula’s persona as a charming otherworldly gentleman all come from Lugosi, whilst the image of Dracula possessing fangs, having bloodshot red eyes and being incredibly tall comes from Lee. The idea of Dracula actively seducing his victims also comes from Lee as well, though Lee’s Dracula was not in any way a romantic character. Far from it. In fact he was a vicious, sadistic animal who was dangerous to everyone and everything around him. Lee’s Dracula enjoyed beating and torturing his enemies, his servants and even his own wives. Lee also brought a much more physical side not just to Dracula but to vampires in general. Though there had been stories in literature that depicted Vampires with superhuman strength, before Lee on film they had always been portrayed as more hypnotic creatures. Lee’s Dracula however was a monster who could effortlessly overpower his victims and toss them aside as though they were children. Christopher Lee cited this as his favourite performance of his and its not hard to see why. He is perfect as the fanatical Lord Summerisle who is more misguided rather than an out and out villain like Dracula or Saruman. Lee apparently played this role for free, he was so impressed by the script. 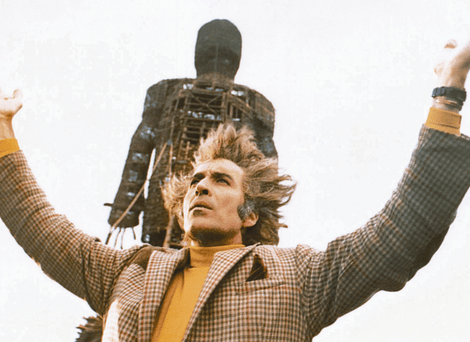 The Wicker Man remains one of Britain’s all time greatest horror movies and a large part of that is down to Lee’s stellar performance. The way he plays off of Edward Woodwards character Sergent Neil Howe in particular is fascinating. 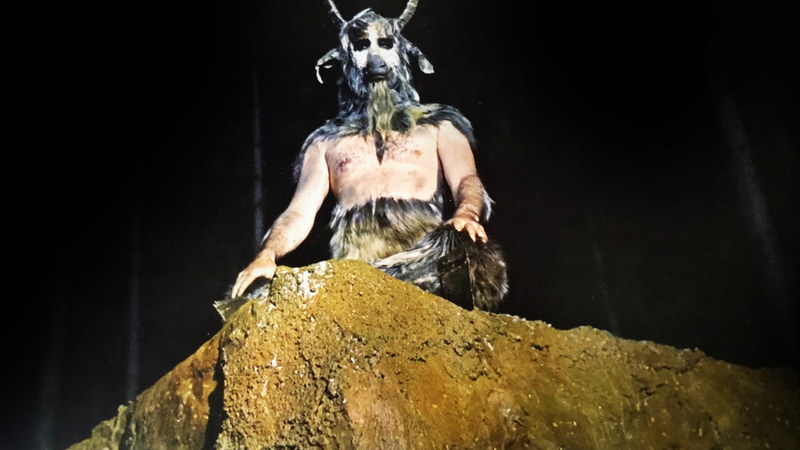 Howe is a man with just as strong beliefs as Summerisle himself, and much of the film revolves around two deeply religious men remaining true to their beliefs, no matter what the odds.